At our Juvenate Health Club in Cheltenham our gym facilities include the latest cardiovascular equipment including cross trainers, treadmills, rowing machines, bikes, and a spin bike. Our resistance section includes leg press, chest press, squat rack, cable machine, shoulder press , fly machine plus many more. Our free weight section isn’t just for the weight lifting enthusiasts, it provides a welcoming atmosphere for everyone who wants to tone and strengthen. To mix things up you can also use our boxing training equipment where you can spa with your friends or fellow gym member. 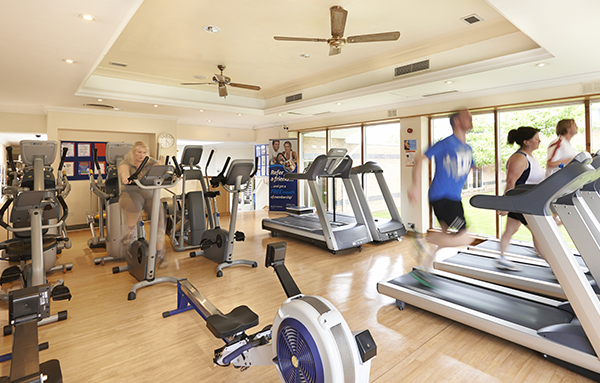 The welcoming atmosphere of our Cheltenham club allows for all abilities and experience to workout side by side. No headphones are required as our gym has music playing throughout the day with news channels keeping you up to date with the latest changes happening. If you feel you need some air, we have outdoor areas to exercise in as well as two tennis courts if you want to work on your backhand with your friends. If you would like to take a look at our vast range of facilities, feel free to visit the gym and our team will be happy to show you around. If you would like to join now, you can join online today. Our simple five step process can be completed within minutes and you could be working out as quickly as tomorrow. If you are looking for a local health club with a welcoming atmosphere and everything you need to improve your fitness and well being, join online today. You will gain access to our exclusive benefits as well as a wide range of facilities at affordable prices.